If you are trying to get pregnant, it’s important to consume enough foods that properly nourish your body, especially those high in vitamin B. Vitamin B isn’t actually a singular vitamin, but rather a family, of vitamins that function best as a group. These vitamins work synergistically to support countless functions of the body. Red cell production, metabolism of carbohydrates, and brain and nervous system health are just a few examples. 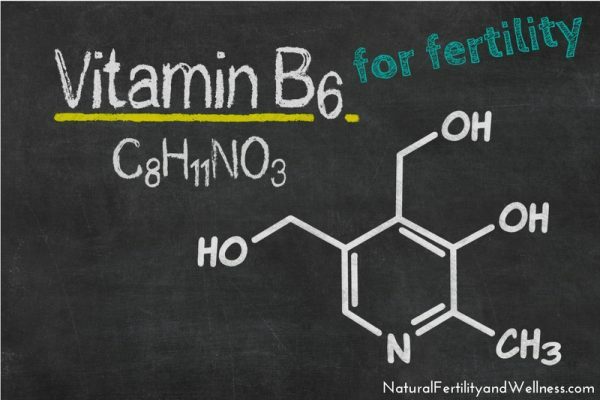 When it comes to fertility, Vitamin B6, or pyridoxine, is one of the most important members of the B vitamin family. Why? Well, it may serve to help regulate your hormones. Increasing your intake of B6 can also help lengthen the luteal phase of your cycle and regulate blood sugar levels, making it incredibly helpful for many hormonal conditions that affect the body. 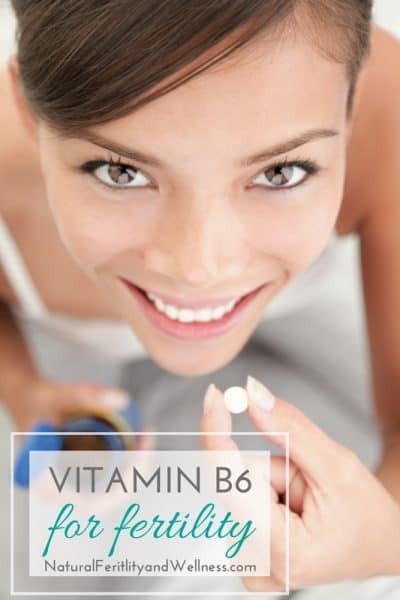 How much Vitamin B6 do you need? Recommended combined daily amounts for B vitamins (there are multiple B vitamins) is between 100 and 200mg’s per day. 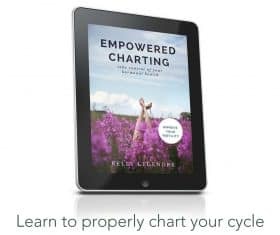 At one point I actually started charting my daily meals on SparkPeople.com and realized that even my intake on a whole foods diet was falling quite short of 100mg’s. I just wasn’t eating enough of the right foods. Individually, the RDA for B6 is about 1.9 mg for women and 1.3 mg for men with the upper limit of intake at about 100mgs per day. You’ll notice that the RDA for B6 is considerably lower than the upper level intake limit. That’s because RDA’s are a sort of starting point for nutrition amounts that would be okay for almost every man or woman. They don’t take into consideration all the unique facets that may indicate more, or of cases of correcting long-term, chronic deficiencies that often lead to chronic health issues. In these instances higher levels for a period of time are often indicated. The B vitamins are also water-soluble, meaning that you eliminate what you don’t use and they are not stored in the body long-term like the fat soluble vitamins. So one day of great eating and an increase in B6 consumption isn’t going to cut it. It’s important to consume foods as close to their natural state as up to 90% of vitamin B6 can be lost during the processing. Eating a varied diet is also very important since different foods contain different nutrients, this way you’re guaranteed to get the vitamins and minerals your body needs. While Vitamin B6 is a water-soluble vitamin, there may be some risk of toxicity when taken in large doses or supplementing over a long period of time. I’ve found recommendations to start supplementing with an additional 20-50 mg’s of vitamin B complex per day and increase it after a couple of months if you’re still having problems. Therapeutic doses of 50-100 mgs should be done only under the supervision of a health practitioner. By reducing the ways that cause our bodies to use up the vitamin B we’ve been able to get throughout the day while we also increase the right foods in our diet we can give our bodies what they need to help support hormone balance. And while increasing your daily intake of Vitamin B6, please note that it could take at least a couple of months to really notice a difference as it can take some time to balance the hormones. The body may have a lot of work to do and it may take longer than a couple of weeks! So be patient and continue on a nutritional plan with good amounts of Vitamin B6. Ahh, that’s right! Now that you say something I remember reading that a few months ago. OK I totally thought that picture in the corner was a cinnamon sugar doughnut with chocolate dripping onto it! Hello! Upon closer inspection I see that I must have just been hungry!!!! I know this is an old post, but I wanted to leave this information here for anyone else who stops by to learn about B6. Donielle, I followed your example and entered my diet into SparkPeople’s nutrition calculator. At first, I was thrilled to see that I scored a 254, which was even higher than their recommended range of 100 – 200. Once I investigated further, though, I discovered that SparkPeople’s 100 to 200 range means 100% to 200% *of the recommended daily value,* which is only 2.0 mg. So my great diet full of B6-rich foods (dulse and sweet potatoes were some of the highest-scoring, even higher than legumes and meat) was only getting me to around 5 mg daily of B6. After more reading, it appears that it’s impossible to get 100 mg of B6 from food sources alone. That’s really too bad. 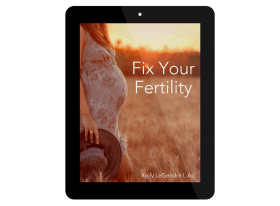 My luteal phase is quite short and I was hoping to get the B6 boost from food. Hi – can you please help me – I don’t understand all these people/comments that are saying they they take 100mg of vitamin B6. I am ttc & taking a prenatal vitamin 1x/day- it says it has 15mg of B6 which is 600% of the daily recc. value…how can that be? I’m trying to lengthen my LP. Your link for the “whole foods/raw pre-natal vitamin” and the b vit. do not work properly they take you to either nothing or another blog article. be however certainly you are going to a well-known blogger if you happen to aren’t already.